I haven't updated my website for a long time, but last year was a significant one. My major project for the year was Disneyland in Shanghai. If you want to see recent photos, check my Instagram name of goldreverre. Listen to a half hour radio interview with Bruce Jackson recorded for RPH Geelong. The shop has some new colors of gold leaf available plus these edible 24 carat gold leaf kits. 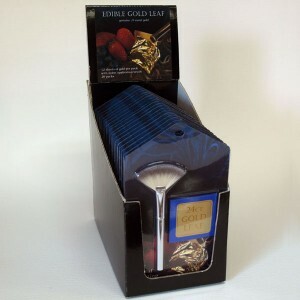 Retailing for $39.99 each, they have there own website at ediblegoldleaf.com.au and sell wholesale at $360 per box of 20 kits. Contact us directly for other quantities. Verre églomisé is the art of applying gold leaf to glass combined with reverse painting techniques, also known as glass gilding. 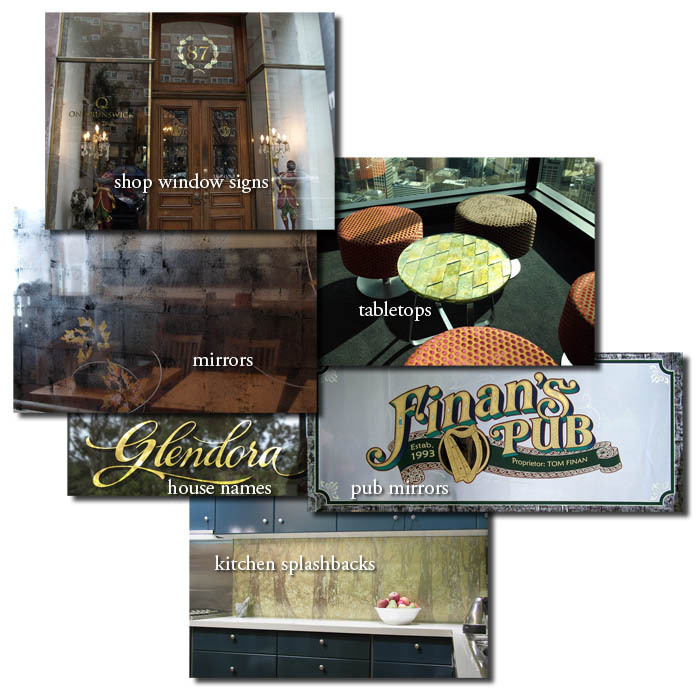 It is familiar as traditional gold leaf window signs, but is also used for a greater variety of decorative and glazing functions. The work displayed on this website are original hand-made artworks for both private and commercial clients. GoldReverre is the studio of Bruce Jackson. The studio is located in Melbourne, Australia and we accept international commissions and send our work to most countries.